Klik hier of bel 088 6672 688 - Dr. Jan Waalkens | Inschrijven via webform, zie onder het kopje “Deelname”. Deelnemers ontvangen een factuur met rekeningnummer voor betaling. Leden van de VU-vereniging krijgen 10 euro reductie. If you work in the Dutch health care sector, mark your calendar for the 30h of June 2015 when Wittenborg University in Apeldoorn will be hosting a seminar that exploring the question: Are care organizations flexible enough to survive rapid policy changes in the sector? The seminar flows from research that was done at De Goede Zorg which, like many organizations, faces severe changes for which major management decisions are required. 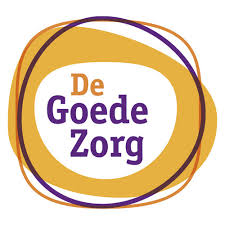 Di Goede Zorg has been operating for more than 50 years in the Apeldoorn region. Keynote speaker is Dr. Guus van Montfort, chairman of ActiZ, the trade organization for nursing and care homes, home care services, youth health and maternity care. 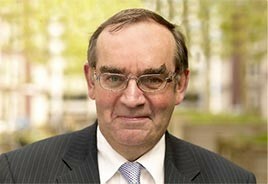 Montfort is also professor of Business Economics, Care and Medical Technology at the University of Twente. Montfort will talk among other things about the impact of legislative changes, regarding how care organizations are financed, and how it can be seized as opportunities for more efficient management of organizations. The seminar, which will be in Dutch, is entitled “Overleven in de Zorg”. It is being held in cooperation with the care organization “De Goede Zorg” and the Vrije Universiteit (VU) based in Amsterdam. The research explores if large– but also enforced - organizational changes can have a satisfactory outcome for both employees and management. At the seminar Bert Blaauw, director at De Goede Zorg, and Erik Schensema (change manager) will talk about their experiences. Blaauw will elaborate on what the policy changes means: organizational change, changes in strategy and also in terms of human resources and client relations. Dr Teun Wolters,researcher at Wittenborg, leads the discussions at the seminar and already shares some results: “Research holds a mirror to the organization. Key to solving the problem is first of all determining whether there is enough determination to exert the changes. Furthermore it is crucial that the organization is open to change. Though the sector views the changes in terms of more problems, the example of the Goede Zaak shows that inspiring results can be realized by pro-actively organizing and managing change”. NOTE: This Seminar will be held in Dutch at Wittenborg's Laan van Mensenrechten Campus in Apeldoorn!